Ice cream soda was invented in Philadelphia in 1874 by Robert M. Greene. It was created to celebrate the fiftieth anniversary of the Franklin Institute. Idea: Children could make ice cream sodas. Declaration of Independence was read publicly for the first time in Philadelphia, Pennsylvania, in 1776 by Colonel John Nixon. The Liberty Bell tolled to bring citizens to hear the reading. 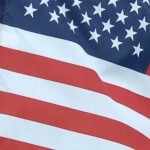 Children can read a copy of the Declaration of Independence at: Declaration. Liberty Bell cracked in Philadelphia, Pennsylvania, for the second time in 1835. It was ringing to mark the funeral of Chief Justice John Marshall. The 2080-pound bell was originally cast in England in 1752. However, it cracked soon after arrival. The bell’s metal was melted and re-cast in 1753. Children can learn more at: Liberty Bell. 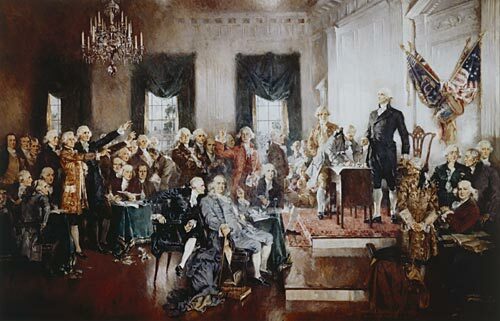 Constitutional Convention met from August 6 to September 10, 1787. This Philadelphia meeting was called the “Great Debate,” and the purpose was to draft a constitution. Idea: Children could read Shh! We’re Writing the Constitution, written by Jean Fritz. Thomas FitzSimons died in 1811 in Philadelphia, Pennsylvania. His exact date of birth is unknown. He was a delegate from Pennsylvania to the Constitutional Convention. Once wealthy, he contributed to the Revolutionary War. However, by 1805 he was bankrupt. Frederick Douglass escaped from slavery in 1838. He boarded a train disguised as a free sailor in Baltimore and traveled to Philadelphia. 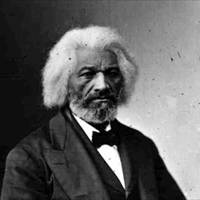 Children can read about his escape at: Frederick Douglas. Children can also read many of his works at: Project Gutenberg. 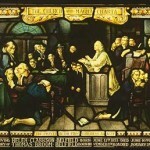 First Continental Congress met secretly in 1774 in Philadelphia, Pennsylvania. In response to the Intolerable Acts, 56 representatives from 12 colonies discussed their grievances. Georgia did not send members. Peyton Randolph from Virginia was the president. The First Continental Congress, which ended on October 26, 1774, had accomplished two goals. The group decided that the colonies would boycott British goods starting in September 1775. Also they agreed to meet again in May 1775. Idea: Children could find out how people were chosen to attend the First Continental Congress. They could also read the journals of the meetings at: Journals. United States capital was established temporarily in New York in 1788 by the Constitutional Convention. The city remained the capital until August 12, 1790. The capital moved back to Philadelphia before it finally moved to Washington, DC. Today is also Constitution Day, when school children across the country learn about the Constitution and its signers. A wonderful book about the signers is Dennis Brindell Fradin’s The Founders: The 39 Stories Behind the U. S. Constitution. 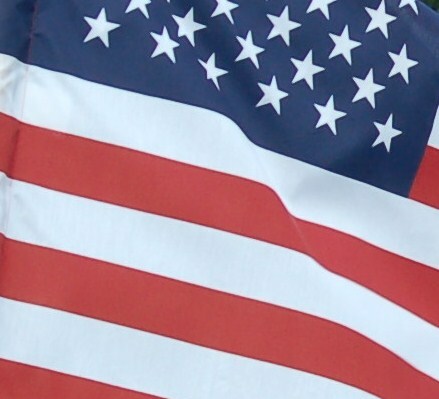 Children could also visit http://www.constitutionday.cc/. There they could take a quiz and construct a poster.